Patrice de Beer, the former London and Washington correspondent for Le Monde asks if after the recent regional elections, will the French be able to stop FN from finally breaking through the fragile glass ceiling? How can regional elections be so traumatic in one of the world’s longest established democracies? How can we be so enthralled by a vote to select the local representatives of assemblies who are only in charge of local issues like schools, roads and social care? How can we focus so much on our local politics the very day after the ecological momentum created in Paris on 12 December by the United Nations Climate Change Conference (COP21). A conference where, for the first time in history, all nations involved decided to unanimously fight global warming? Is it because we, the French, are always so prone to navel gazing and dramatising everything linked with politics, our national sport? The fact is that these elections – for 13 large regions to replace the smaller 21 metropolitan ones, plus the overseas ones – have been branded by all sides as a victory for themselves and a defeat for the others. 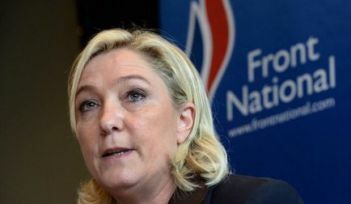 The extreme right National Front (FN) was unable to carry a single region but has reached an unprecedented score of 6.8 million votes (27% of the total), allowing it to claim a “victorious defeat”. They now have representatives in all regions and a springboard for their leader, Marine Le Pen, to reach the second round of the May 2017 presidential elections and face either the Left or the Right candidate. President François Hollande’s Socialist Party (PS) and its leftist and Green allies have clung to 31% in a “joyless success” by keeping five regions and helping the Right to crush the FN in three others by withdrawing their candidates in what they call a “Republican Front”; for the last six years they had controlled all but one metropolitan region. Until the very end of the campaign, the Socialist Party was facing a political Waterloo, as every region it controlled was threatened by the Right or the FN, with Hollande’s popularity at its lowest ever. That was until his statesmanlike reaction to the terrorist attacks of 13 November in Paris which left 120 people dead. Hollande’s imposition of a state of emergency and the subsequent bombing of Islamist targets in Syria boosted his popularity with the electorate. Former President Nicolas Sarkozy’s conservative Les Républicains (ex-UMP) claimed victory grabbing seven regions, including the prestigious Paris Île de France. Two of the regions won by Les Républicains only did so due to the Left. This was a blow to Sarkozy who, only a few days ago, was hoping for an almost clean sweep. Being the main opposition and facing an unpopular government unable to tackle the economic crisis and the scourge of unemployment with 10.2% jobless, Les Républicains had dreamt of doing as well as the PS six years ago, while it was in opposition, thus confirming “Sarko’s” threatened position as their natural candidate to the next presidential campaign. As centre-left Libération’s headline said on Monday: “Relieved but … FN shocked, PS miraculously saved, Right shaken”. The problems facing France in the 18 months before the next elections remain the same, and crucial issues are once again being swept under the carpet. All this can look very complicated for outsiders. Hence, this perhaps boring and over-long introduction I sincerely apologise for. But the way that France is reacting to its present multifaceted crisis: economic, social, cultural (or multicultural), law and order, immigration and borders issues has many similarities with other European countries, especially those in northern Europe: an aggressive nationalist extreme right (sometimes part of the coalition in power), a growing anti-European feeling and a sense of hopelessness facing a new world they fear and don’t understand. .. We want, for instance, to protect our borders from massive immigration, mostly from Muslim countries – including victims of the war against Daesh in Iraq and Syria – just like in the UK with its nationalist outbidding between UKIP and the Tories, for which we in France pay the price with thousands of refugees stranded in the infamous Calais “jungle”, dreaming of entering a country with jobs and no ID cards. Like Holland or Denmark, or the right wing nationalist parties of Switzerland, Germany or Austria, we want to cling to our national values against outside ones. Not to mention Donald Trump’s xenophobc utterances or those from Hungary and other new EU memebers from Eastern Europe, who today want to chase away refugees while yesterday they were so happy to find a haven here against communism. Heartless. So, what happens next in a country that, after decades of a bipartite system, has gone back to a tripartite one? Yesterday between the Communists, the Left and the Right and today between a divided Left, a Right torn between its extreme and its centrist wings and rife with personal rivalries, and the FN, up until now blocked from power by a very effective, while decreasing, glass wall. This helps to explain the unprecedented surge of votes in the second round which did more than offset the 800,000 new votes for the FN. While the FN did manage to get 40-45% of the votes in some places, there still remains a majority of French people who do not want the FN in charge. The question is, for how long? It is not true to say that all FN voters are mere extremists, although more than half of the French distrust the 10% of their compatriots of Muslim origin. More and more, however, are receptive to the FN’s chauvinistic and repressive propaganda based on slogans and unrealistic promises. It is worth noting that there seems to be two sides to the FN. The northern and eastern one behind Marine Le Pen (47 years old), which aims to attract votes from a disgruntled working class, savaged by factory closures and loss of jobs, in need of social support, and to whom it has promised, amongst other things, to restore the unrealistic retirement age of 60. The southern faction of the FN rallies behind Marine Le Pen’s 26 year-old niece, Marion Maréchal-Le Pen, who has to cater to well off conservative pensioners, former French settlers in Algeria and ultra conservative Roman Catholics (for whom she promised to stop subsidising birth control). Her main other promise has been to force Arabs living in France to dress like everyone else, which almost all do anyway, in order to please her far right supporters. Does all of this really matter, however, when all voters seem to simply want a renewed political world? Even if many people put FN leaders in the same basket as those from traditional parties, they seem to simply want a change. A change from the same faces they have seen for decades – Sarkozy’s first appearance was when he was 18 and he is now 60. Hollande, who is 61, started his political career with former President Mitterrand in 1981 – making the same promises again and again without ever actually fulfilling them. France seems unable to get rid of its older politicians who cling to power at the expense of younger ones. For two decades we have heard that the FN was a threat that had to be tackled by social and economic changes. These changes never came to fruition. We heard about the new policies and new faces to fight the ongoing economic crisis. These new faces were too often similar to the old ones. Out of touch with the real country and from ordinary people, these politicians spend more time in the shadows of power than in marketplaces. They talk about development plans costing millions of euros to people living on the minimum wage, who are simply hoping for a job and a safer environment to live in. These politicians have lost touch and don’t see the reality. They cannot reconnect. The PS is now more of a burden than anything else for Hollande. Fossilised and divided, it is losing its traditional bases. Unable to find new blood outside its apparatus, the PS was then unable to source younger candidates who could have saved the North and the Paris and Lyon Regions from a more dynamic new generation of conservatives. In Brittany, Hollande even had to dispatch his Defence Minister, already overburdened with fighting Islamic terrorism in France, Africa and the Middle East. Basically, while the PS seems to understand what needs to be changed, it appears unable to actually implement these changes. Besides this, the PS is divided into opposite “streams”, from its social-liberal Prime Minister, Manuel Valls, to the leftists who, too often, put their ideological interests first. The rest of the Left is divided between several Green movements: a far left – equally split under the banner of the Left Front – whose champion, Euro MP Jean-Luc Mélenchon, loathes Hollande even more than Sarkozy. It is much more comfortable to be in the opposition against a Right wing government, making bold but unrealistic promises, than sharing power and responsibilities. (See Jeremy Corbyn). As for the Républicains and their loose coalition with the Centrists, they are torn between the latter, who are more moderate, and Sarkozy’s failed, far right strategy. The party will hold primaries in 2016 and the two main contenders, former Prime Ministers Alain Juppé (70) and François Fillon (61) are ahead of Sarkozy (60), though he still retains the support of a majority of the more conservative Républicains members. The question of whether the party will survive or split between its two opposite wings, or, like the Left, become more united for tactical reasons rather than ideas, remains to be seen. The French presidential system is such that only two candidates can reach the second round. For the Left as for the Right, disunity would be a recipe for disaster. Hollande knows it, Sarkozy and his rivals do too. Will each camp manage to remain united until May 2017? Will both of them be able to stop being mesmerised by the FN like a mouse facing a cobra snake, and start defending their economic strategies, their democratic values and France’s membership of the EU from a never-been-tested, catch-all party? If a month is a long time in politics, eighteen months is even more so. Hollande has shown since 13 November his ability to rebound and to save his party from the wreckage of the regional elections, as conservative Le Figaro editorialised. Will he be able to do it again and will the French political world be able to stop the FN from finally breaking through the fragile glass ceiling?